One of the earliest Flensted mobiles, created by Christian Flensted in 1956. 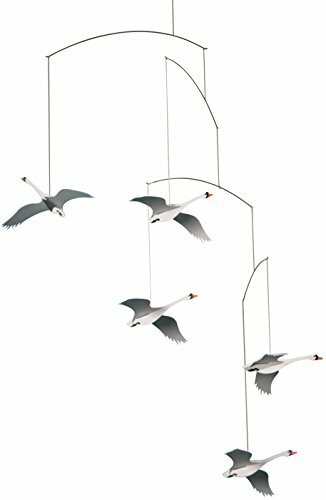 An elegant and beautiful mobile with five white swans, symbolizing the nations of Scandinavia. Made of light, high quality cardboard, and measures 22" X 18" when displayed. Please see the product description below for more details, and a Flensted Mobile FAQ, and click the "by Flensted Mobiles" link below this page's product title to view all of our different styles.